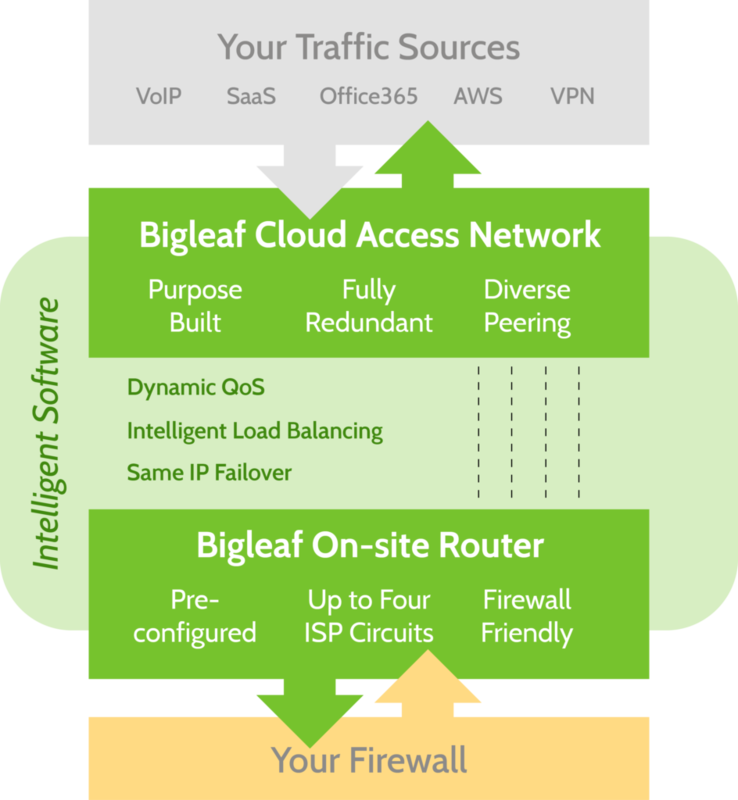 Bigleaf was designed to provide cloud-enabled businesses with a whole new level of internet and application reliability, and that meant building a whole new kind of SD-WAN. Bigleaf uses the natural architecture and intelligence found in leaves – their veins provide redundancy to all areas of the leaf, and the distribution of nutrients is load balanced. We apply those same organic principles to your Internet connections. We use Software Defined Networking (SDN) technology to tunnel your traffic over the leaf “veins” (your multiple Internet connections), between our gateway clusters and our on-site router in your building. From there we provide you a single optimized and redundant handoff. 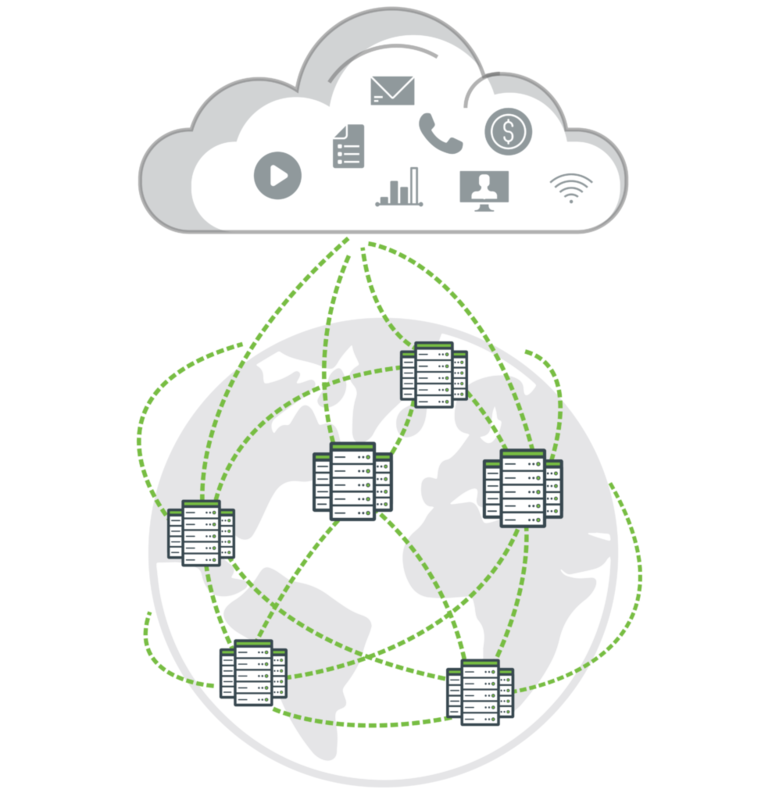 Our Cloud Access Network allows us to control traffic to and from 100% of cloud apps, traffic, and content sources. Bigleaf’s on-site SD-WAN router connects up to four broadband circuits to maintain bi-directional control of all traffic between your business and our Cloud Access Network. With the connection in place, our intelligent SD-WAN software autonomously classifies and prioritizes 100% of applications and traffic in and out of your business, ensuring that your most important traffic is always prioritized over the best possible circuit. The result? A redundant, and worry-free connection to your most important applications without the complexity and risk of other solutions. We peer with over 150 different cloud, content, and carrier networks. Each of our network points of presence (POPs) connects to the major peering exchange in each region, and we select our POP datacenter locations because they have the best peering available. The Bigleaf router gets shipped to your premise and arrives pre-configured with the your circuit details. Designed for easy, IT-free setup, the router installs easily on the WAN side of your existing firewall. You may connect up to 4 ISPs to the Bigleaf router. We then issue a new public IP block out of our gateway to enter into your firewall. No feature changes are required for the firewall. Bigleaf offers both a warm spare option and a high-availability option to provide increased redundancy for your deployment. We provide an option for a High-Availability on-site router setup that includes redundant routers and switches to ensure that no single piece of equipment can cause a failure of your Bigleaf service. Download our Edge Router Data Sheet. Bigleaf’s SD-WAN software goes beyond automation. Bigleaf’s intelligent software will detect and classify traffic, monitor circuit conditions and make routing and QoS changes in real time… all without the need for manual policies or configuration. Bigleaf’s Dynamic QoS uses traffic heuristics to instantly classify all of your traffic, to and from the traffic source, into one of six prioritization classes. If your traffic throughput ever exceeds capacity, Dynamic QoS ensures that performance-sensitive traffic, like VoIP, is prioritized over other traffic, like bulk file downloads. Because Bigleaf doesn’t rely on you to configure QoS, our SD-WAN can provide QoS for business applications that you may not even know about. Our patented Intelligent Load Balancing feature monitors all available internet circuits every 100ms for capacity, packet loss, latency and jitter. Then uses the traffic categorization from our Dynamic QoS feature to route each traffic type over the circuit that will provide the best performance. This is all done in real time without any input needed from you or your team. 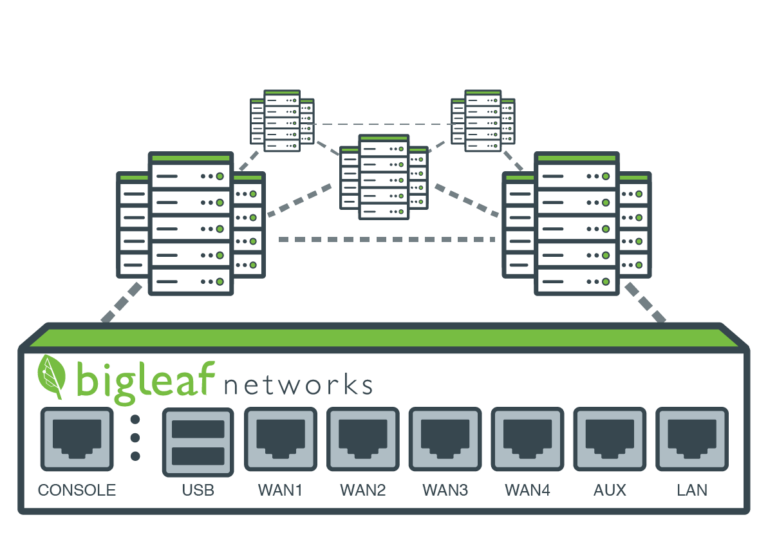 And because Bigleaf is architected for true Same-IP Failover, all of your traffic can be moved seamlessly between circuits without interrupting calls, VPNs, downloads, or any other sessions. Learn more about how our intelligent software works.